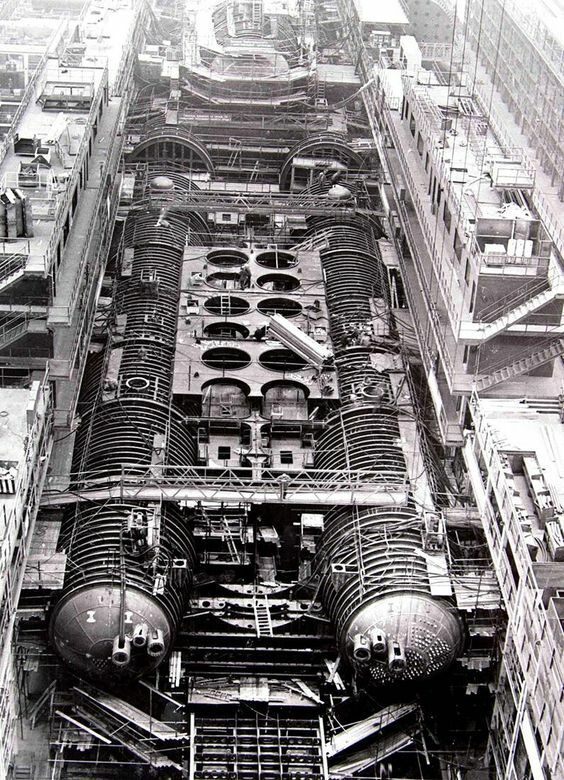 Typhoon Class Soviet/Russian SSBN - under construction in dry dock. The Typhoons are being replaced - or augmented - depending on who you talk to, by the newer Borei Class. On 15 December 2009, a Defense Ministry official announced that the laying down of the fourth Borei-class submarine had been postponed from December to the first quarter of 2010. The reason for the delay was said to be "organizational and technical reasons". The fourth ship of the class will be constructed under a new 955A modification. It is reported by unnamed sources that this modification will include major structural changes and probably other changes. If these reports are true, technically the fourth ship will be the lead ship of a new Borei II class, though this has not been officially confirmed. The 2025 State Armament Plan mentions a new "Husky" class of ballistic missile submarine. Starting from the fourth hull, all submarines of the Borei class will have 20 missile tubes each, versus 16 for the first three boats. 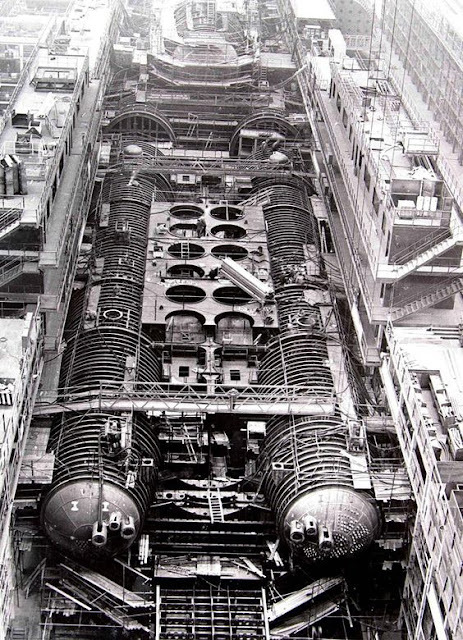 If armed with the Bulava (missile) with ten warheads atop each, a single Borei-class SSBN could then carry 200 warheads - as much as the entire nuclear arsenal of the United Kingdom. The UK offers no comment. The Borei is a hybrid - far closer to a Delta IV than a Typhoon, but a far more serious punch than the old Delta boats, which carried a 65 cm torpedo capable of very long ranges and sensitive wake homing capacity (to kill US Aircraft Carriers).